4th StratComm Summit 2019 will be hosted on 21-22 February 2019 at Holiday Inn New Delhi International Airport, Delhi. 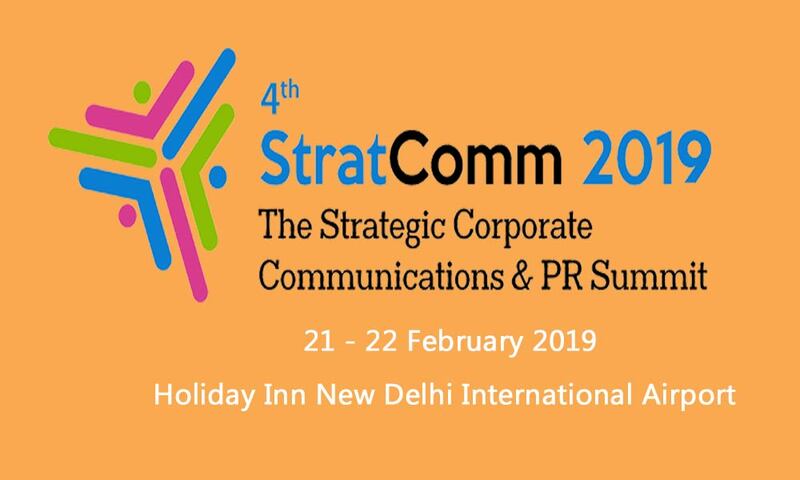 4th Strategic Corporate Communications & PR Summit 2019 will be conducted on 21-22 February 2019 at Holiday Inn New Delhi International Airport, Delhi. This summit aims to provide the platform to discuss the future of communications regarding the current challenges. The 2 day conference event measure the efficiency of corporate communications, the new strategies and tools in social media management, storytelling, reputation management, and the impact of fake news on PR etc. Don’t be strange, you can share your queries at 8097586621 or Damodar.pai@inventicon.in.